Roland Tings is back! 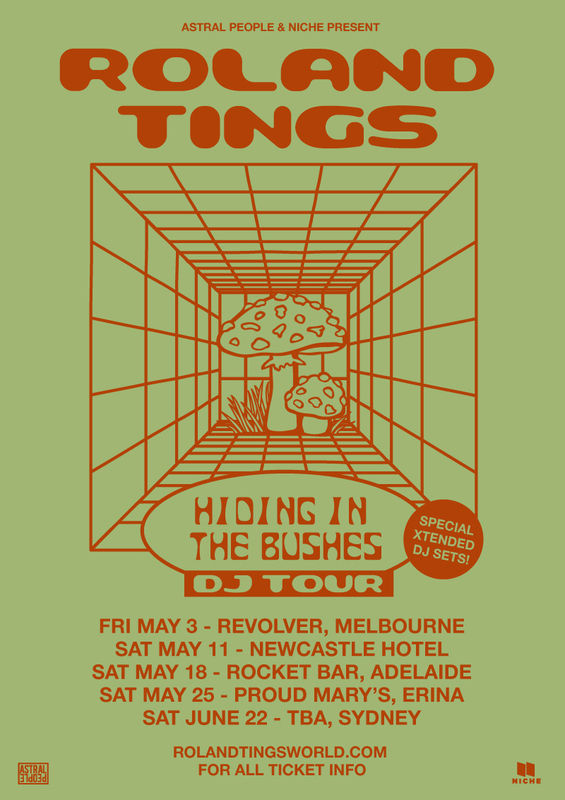 After a year long hiatus spent writing music in regional Victoria, today Roland Tings has released new single ‘Hiding in the Bushes’. And now in 2019, as a celebration of his new single release Hiding In the Bushes, Roland Tings has also announced a nationwide DJ tour.